This Acorn and Oak Leaf pool table light adds a regal touch to your rustic decor. Antique Copper finish and Amber Mica add a crowning touch to this Oak Branch Oblong Pendant, perfectly suited to be the centerpiece of your room. 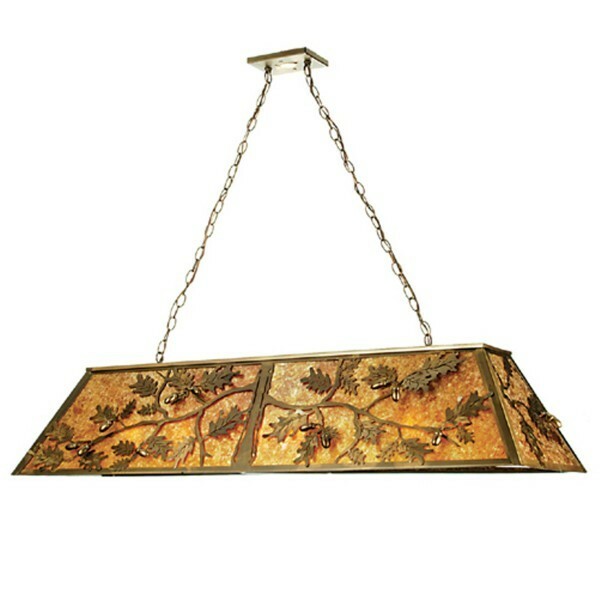 This 54" long Acorn and Oak Leaf pool table light adds a regal touch to your rustic decor. Antique Copper finish and Amber Mica add a crowning touch to this Oak Branch Oblong Pendant, perfectly suited to be the centerpiece of your room.